Jane McConnell, American and French, is based in Provence, France. She has advised organizations in Europe and North America on their internal digital strategies for 18 years. She has conducted over 120 projects focused on the internal digital work environment in over 60 global organizations. See client list on the NetJMC website. Jane has been at the forefront of digital inside organizations for years, and was one of the first thought leaders to give meaning to the term digital workplace in 2010. She is well known for her research and annual reports on the digital workplace and how it supports digital transformation from the inside out. This report is the 9th edition. An effective digital workplace strategy emerges from the organization itself. It is not something an external consultant can provide. Jane’s Foundational Framework based on people, organization and technology, serves as a reference, self-assessment and diagnostics tool for many global organizations. Jane helps organizations conduct self-assessments, combining online and live events, according to context and global spread: self-assessment input from the online platform, webinars, telephone conferences, facilitated live events in world café or live jam style. The output is a strategy document, written and owned by the organization, produced through close collaboration with Jane. It includes a high-level strategy, an action plan, key success requirements and an executive presentation for senior management. Jane gives talks and runs workshops for senior managers. These briefings, supported by data and examples, enable management teams to grasp the issues and understand what leadership means in the digital age. Custom-designed, creative activities help management define their own digital vision and build action plans that correspond to their current degree of digital maturity and their ambitions. 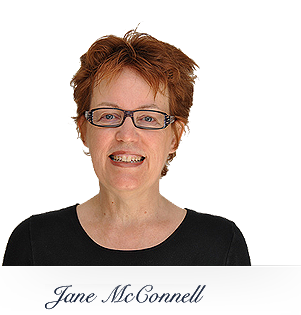 Jane inspires and motivates groups seeking insights into issues and strategies associated with the digital workplace and the organization in the digital age. Her discourse is rooted in research data and years of high-level experience as a strategy advisor. Her keynotes and conference talks are always highly rated. Jane’s annual research, comprising expert analysis and thought provoking insights, has been incredibly valuable in being able to read how the digital landscape is evolving, and to benchmark our own achievements and vision for the future of our Intranet.